Russia asked to joint operate a US base in Syria. Coalition says hard pass. Russian officials have reportedly floated the idea of jointly running a U.S.-controlled corridor known as Al Tanf, located on the Iraq-Syria border near Jordan, where U.S. troops are garrisoned. The American-led coalition to defeat the Islamic State, though, said they are not interested. Gen. Valery Gerasimov, chief of the Russian military’s General Staff, said the presence of American military bases on Syrian territory is a major unresolved issue for his forces. Gerasimov and other Russian officials reportedly suggested removing the security zone around Al Tanf and instead establishing joint Russian-American control over the key transit area there, one of three official border crossings between Syria and Iraq. “However, the American partners left our proposal unanswered,” he said. The Inherent Resolve coalition told Military Times that jointly running the corridor with Russian forces is not necessary. An Islamic State militant who murdered several Western aid workers, including a former Army Ranger, has been killed in an airstrike. When asked if Russians had been lobbying for this change for a while, Ryan said “no, not at all." “The Rukban UN delivery was the only time I’m tracking the deconfliction zone was even brought up,” he added, referencing a United Nations and Syrian Arab Red Crescent effort to get aid supplies to displaced Syrians in a remote desert camp near the border area. 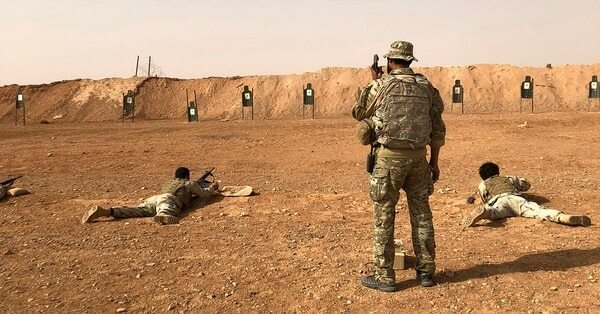 The Syrian and Russian governments have blamed U.S. troops stationed at Al Tanf for failing to provide security for aid shipments. The Pentagon denied those allegations. The U.S.-led coalition said Maghaweir al-Thowra, a U.S.-backed Syrian rebel group fighting ISIS, provided security for the aid delivery in early November. 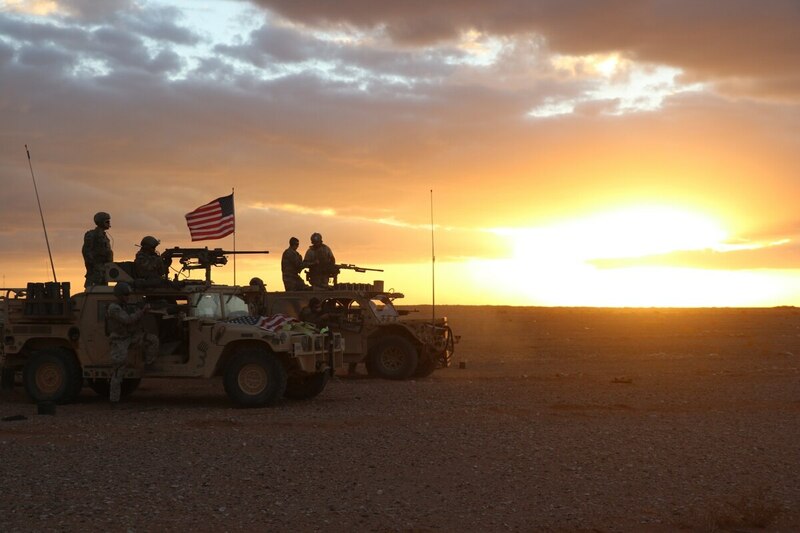 This fall, Pentagon officials said they need to maintain a military presence in eastern Syria in order to counter Iran, which they said transports military equipment through the border. A company size element of Marines conducted an aerial assault exercise in vicinity of a small U.S. base in southeastern Syria amid concerns of a potential Russian military operations in the region. Gerasimov also took time during the foreign affairs briefing to allege that the U.S. military was working to create a pseudo-state east of the Euphrates River. He said the U.S.-backed Syrian Kurds, who played a major role in the coalition’s anti-ISIS offensives, were being used as a proxy against the Syrian regime. “They are also forming a government for the so-called Democratic Federation of Northern Syria," Gerasimov said, using a term for a de facto autonomous region in northern Syria not recognized by the Syrian regime in power.